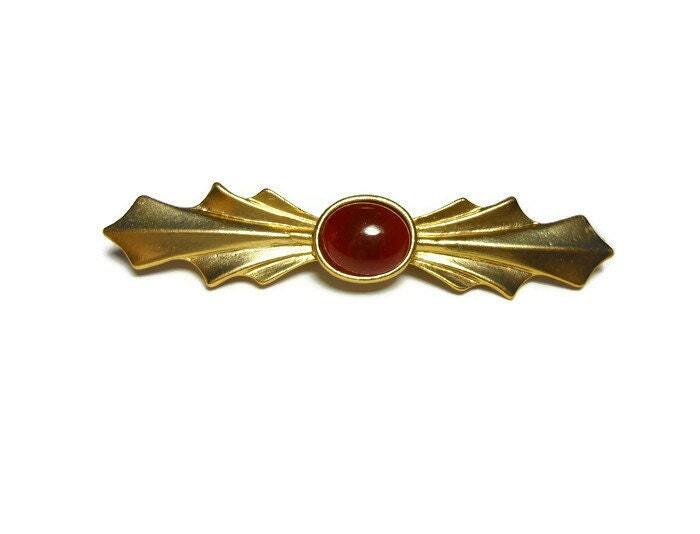 Carnelian bar pin brooch, carnelian cabochon center with gold tone side flourishes, art deco revival. 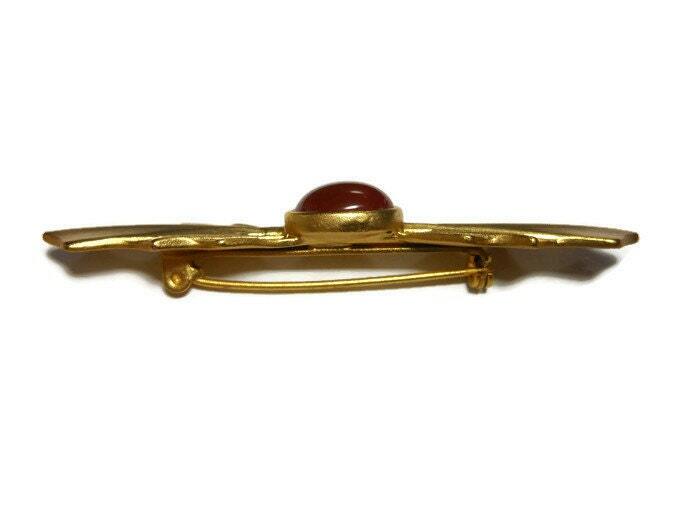 Lovely pin with a deep, rich color carnelian. 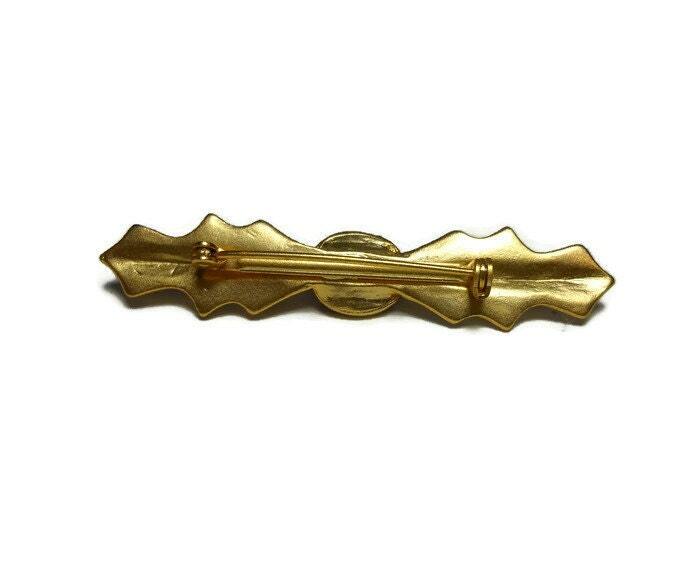 Could double as a tie pin. It measures 2 3/4" (7 cm) and is in very good vintage condition.